Beyer Carpet Cleaning Turns 4! Four years ago the Beyer Family began it’s journey of owning and operating their very own carpet cleaning business. It was a scary decision, as any big decision should be, but it would become one of the best decision for the family. Beyer Carpet Cleaning became a success story they would never have dreamt of. Beyer Carpet Cleaning is a family owned and operated business. Everyone who has a hand in the day to day business is either a family member or a close family friend who have been around for many years. As they continue to grow, Beyer Carpet Cleaning, has made it a point to try to keep the company operated by family and friends so it can truly live up to the title “family owned and operated”. Although, the tag line may sound great to those supporting local business it can be hard to compete against the bigger corporations. Not only are corporations already a household name due to their advertising but they have the resources to more than just compete against the little guys but also to pull them under. A new business opening and trying to establish itself is hard enough to do without drowning but when the competition is stiff the work becomes that much harder. Believe it or not the carpet cleaning business can get dirty. Other companies will call you and pretend to be a window shopping customer so they can get price information to try to compete with your business. Carpet cleaners will also click on your paid ads until your ad has maxed out for the day. Beyer Carpet Cleaning was constantly on their toes for the first year or two in order to get around all these nasty moves by competitors. Although, others played dirty Beyer Carpet Cleaning always played fair and in the end came out on top. The good guys don’t always come in last. Eventually, Beyer Carpet Cleaning became one of the leading carpet cleaners in San Antonio based off merit, fair pricing and quality service. Soon enough they no longer needed to pay for advertising because customers were flooding in due to their outstanding reviews all over the internet. Competitors could no longer mess with the little guy! It is true that in the service industry you cannot please everyone. As true as this may be Beyer Carpet Cleaning always does its best to treat each customer with outstanding customer service. Some carpets need a little more TLC than others and that’s ok! Their technicians will never judge you or your carpets. 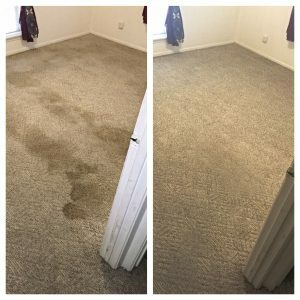 They have seen plenty of carpets over the years that nothing is really shocking to them anymore so there is no reason to be ashamed of the condition of your carpets. Just leave it to the experts to try and make your carpets look and feel fresh again. 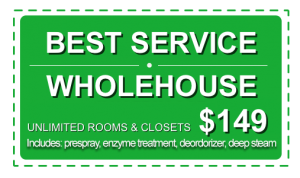 Not only do they offer quality carpet cleaning they also provide the best in price. 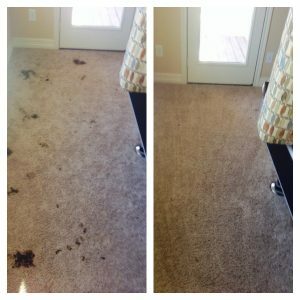 Beyer Carpet Cleaning always wants to provide the fairest price to their customers since they do not have a large overhead as some of their bigger competitors do. They do not have an outrageous advertising budget for t.v. ads or newspaper ads so what they save on advertising and other expenses they pass the savings along to the customer. No need to pay outrageous costs for carpet cleaning or surprise fees when you go with the good guys of carpet cleaning. Beyer is always upfront about their costs and what their service will include so when they arrive to a customer’s home the customer already knows what to expect and what they are getting for their money. No one is more fair or honest in this industry than Beyer! So what are you waiting for?! See and experience why Beyer Carpet Cleaning is at the top of their industry and why they’ve been ahead of the pack for the past 4 years! 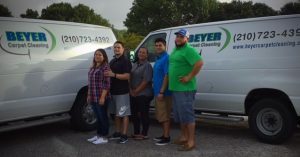 Congratulations to Beyer Carpet Cleaning on their outstanding service to the San Antonio community and surrounding areas. Without their loyal customer base Beyer Carpet Cleaning would be nothing. They thank each and every customer who has given the little guy a chance to prove themselves.